MAKE TIMELINES - The website of the heritage knights! By using a timeline even very young heritage detectives can begin to understand what is meant by old, very old and even older. Chronological order - Victorian, Tudors, Vikings etc. will take longer to understand. Go West Heritage Knights always place wonder cards on a timeline pre-marked with the major periods of history. This makes it possible to work out just what Arthur de Caldicot might recognise, it also helps to provide a context for developing story fixed by moments in time. 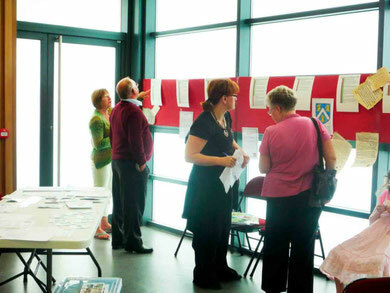 Over the years Go West Volunteers have created several sorts of timeline. Some were beautifully illustrated for us by Amy Jone a student of graphic design at the University of Worcester. You can downloaded them from this website. 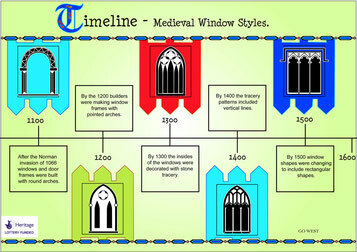 Timelines used by Heritage KNIGHTS. 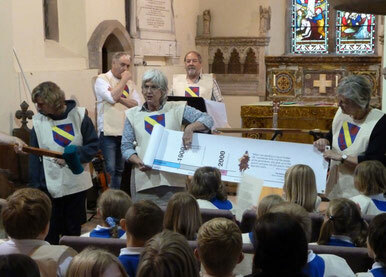 The timeline used by the Heritage Knights when working with young heritage detectives illustrates the chronology of the historical periods that may already be familiar to them and their parents. Its purpose is to illustrate the passage of time, something that is quite dramatically illustrated when the timeline, which covers more than 2000 years, is unrolled! This timeline is used at the end of a quest or a workshop when heritage detectives fix their wonder cards to it to see if Arthur might recognise their wonder points. Download and cut out the template below to make your own -smaller - version! Make your timeline to measure time. Cut out and stick the pieces to make your own timeline to measure time! 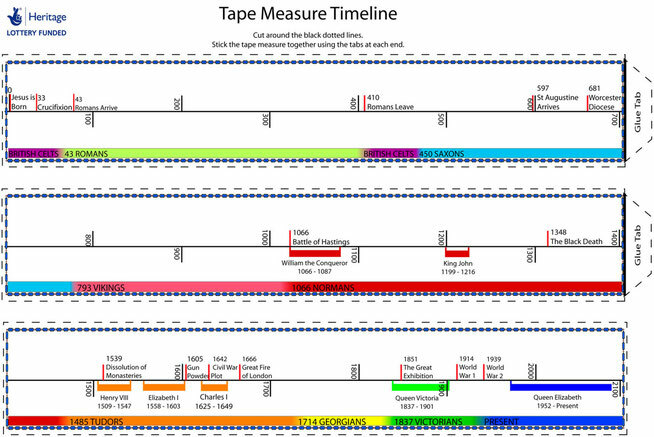 In the format of a tape measure this timeline can be downloaded for children who cut out the pieces and stick them together end on ready for when they go out questing. When they find a wonder point and start wondering about it they have a handy reference to help them to see how old it is. These timelines are used to store information ready to create stories from the stones. They can have up to five parallel columns depending on how well you can mange them. Each column has a heading: 1. Date; 2. Church. 3. People; 4. Land. 5. Comments. Column 5 is essential as it links to the more detailed notes and references that it are so essential to record when undertaking research and making notes. Even when using paper the width of a roll of wallpaper it is only ever possible to create short one line entries in any column so a well organised back up system of note taking and recording is essential. Timelines are very much easier to produce on a computer. (but they are not easy to translate to this web site) Spread sheets and tables make it possible to insert new lines when needed and working in landscape format it is possible to make the best use of the space available. Click to see the examples under construction but please not that it has proved impossible to create a column5 to put online. Go West volunteers gather and use information that is already in the public domaine and they create opportunities for interested people to contribute information that will help them to create and embellish story. One way they do this is transfer information from a columned timeline onto pieces of A4 paper, one for each century. Then people are invited to add any additional information they have and place it on the appropriate century, with a date if possible. If possible they should indicate the source of their material - as per the comment column.